Momentary?, DPST 2NO 2NC contact, 6 terminals. 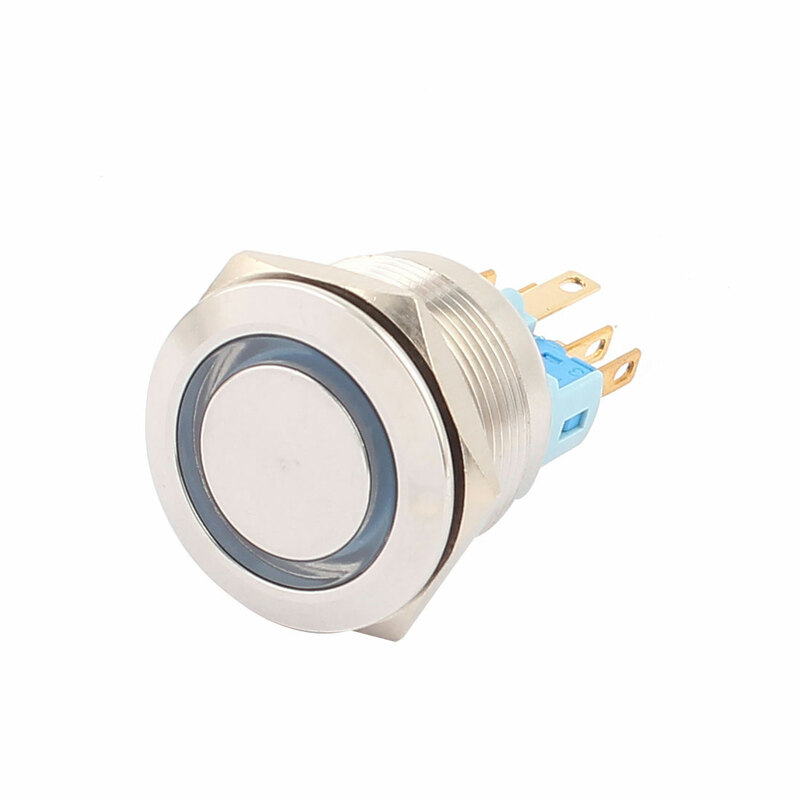 This Metal push button switch is suitable for 25mm diameter mounting hole. Service:1 year free replacement for defective units and 30 days unconditional return and refund; friendly customer support within 24 hours. Lamp Voltage: 24V; Light Color: White; Thread Diameter: 25mm/0.98"